A pre purchase examination, often known as a vetting, is thorough clinical examination carried out at the request of a potential purchaser. The purpose of a pre-purchase examination is to identify and assess factors of a veterinary nature that could affect the horse’s suitability for its intended use. A pre-purchase examination is performed on behalf of the prospective purchaser taking in to account that persons individual requirements. Based on their findings the vet will give their opinion as to whether the horse is or is not suitable for purchase. 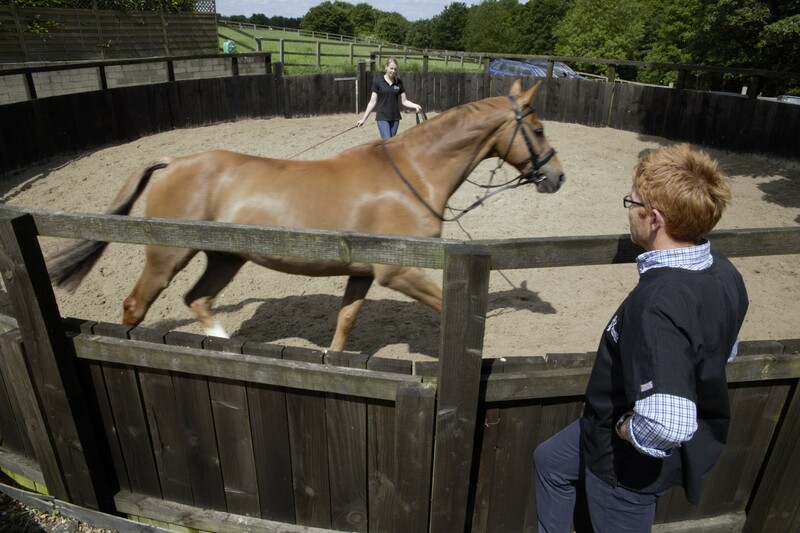 Whilst a pre-purchase examination does not guarantee the future soundness of a horse it enables our vets to detect disease or injury at the time of vetting. In the incidence where we are asked to perform a pre-purchase examination on a horse currently owned by a client of our practice we are able to do this providing the current owner is happy for us to disclose any relevant veterinary history to the prospective purchaser. This methodical examination the horse’s body general appearance and condition. It includes examination of the resting heart, the eyes by ophthalmoscope, the skin, the limbs and feet, and flexion of the limb joints to reveal pain or limitation of movement. The horse is walked and trotted on hard, level ground in order to detect gross abnormalities of gait and action. A 2 stage vetting ends at this point. The animal is given sufficient strenuous exercise to make it breathe deeply and rapidly so that any unusual breathing sounds may be heard to increase the action of the heart so that abnormalities may be more easily detected and to tire the horse so that strains or injuries may be revealed by stiffness or lameness after a period of rest. The horse is allowed to stand quietly for a period. During this time the breathing and heart are checked as they return to their resting levels.